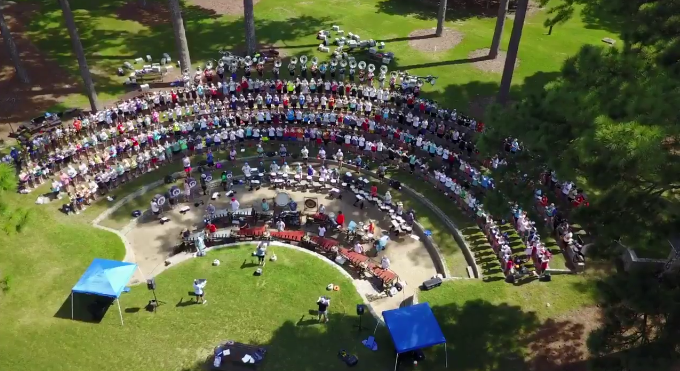 The Auburn Band is ready to dominate SEC fields this fall and we are already getting an incredible look into this powerhouse college marching band. The 2017 version has been in camp for only a few days and already sounds like they are in mid-season form. Take a listen as they perform "Out of the Orange Colored Sky". Yes it's real. No this is not from a cd, it's from their band camp practice. Yes you should go practice your instrument immediately. After watching this I am seriously contemplating a master's degree at Auburn just to march one time in the Auburn Band. Incredible. Thanks again to our good friend Steve Fleming for sharing this great video with us.